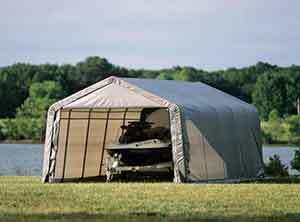 Need a strong, dependable 10 x 10 Canopy Tent? 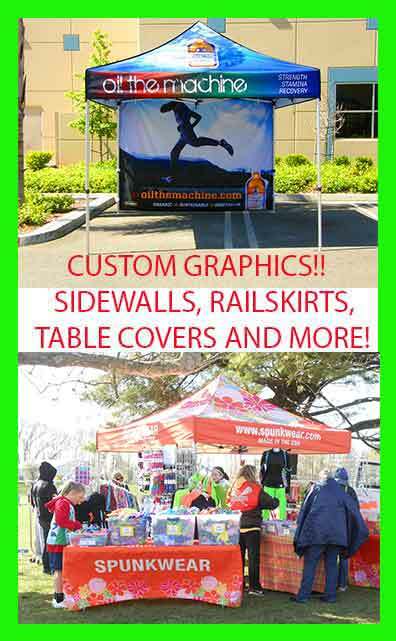 The new Evolution Series offers a line of steel canopies that are the perfect choice for your BBQ, tailgate party, trade show, gathering at the beach or vacation! They are made with your pocketbook in mind! Very affordable yet strong, sturdy and built to last. Evolution steel frames are designed for easy transport and simple setup. 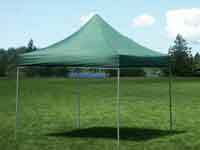 The Evolution Steel Frames are constructed from super strong powder coated steel, and carry the same warranty as our other canopy frames. If the primary goal in frame selection is reliability, the Evloution Steel Frame is the answer. 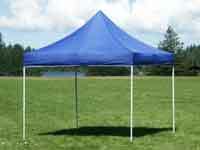 Top: Premier Canopy Tops are made of 300D polyester fabric, and are available in a variety of colors. All Evolution tops are CPAI-84 compliant, water resistant, color fade resistant, and 99% UV blocking for sunlight. 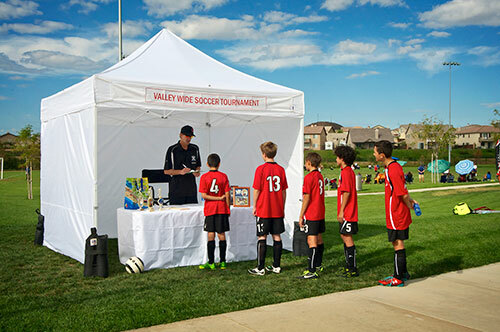 Canopy kits come complete with frame, top, anchor pins, ropes, matching carry bag and instructions. 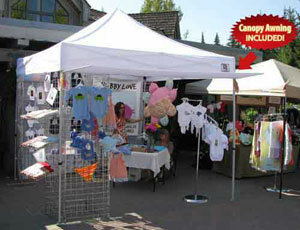 Premier Tents follows an industry-leading four stage process in the manufacturing of our tops. 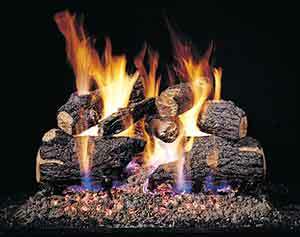 First, before woven, the polyester fibers themselves are treated for water resistance. The fabric is then produced from these treated fibers, which then has a special water resistant UV blocking membrane sprayed on. The third step in fabric production is the application of Dupont Teflon water/stain resistance. Only now is the fabric ready. Once the canopy top has been sewn to the proper dimensions, as the final step, a water resistant sealant is applied to all sewn areas on the upper portions of the top. This effectively removes the seams as an entry point for rain. Our tops exceed industry standards, and through continued innovation we intend on keeping Premier Tents the leader for quality and value. 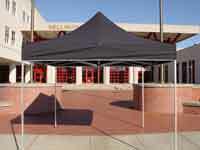 Order your Evolution Canopy Tent System today!